EXCLUSIVE REPORT BY BARBADOS FREE PRESS: CL Financial Group Collapse – Insiders Took Bribes To Have Company Purchase Land For More Than Market Value! This article has spiked in the last day as hundreds of searchers are being directed to Barbados Free Press through a Google search for “Ramchand RAMNARINE“. 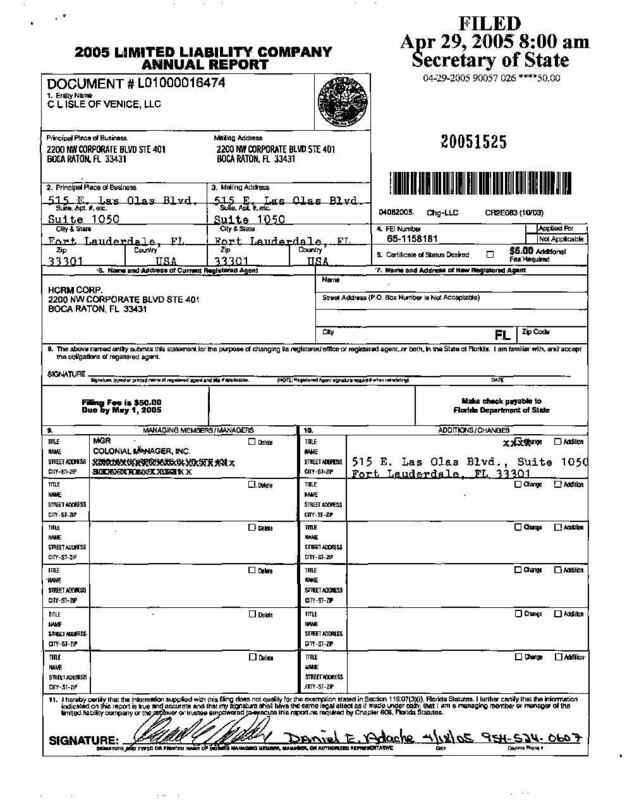 Mr. Ramnarine is one of the Directors of the Florida company “B. A. 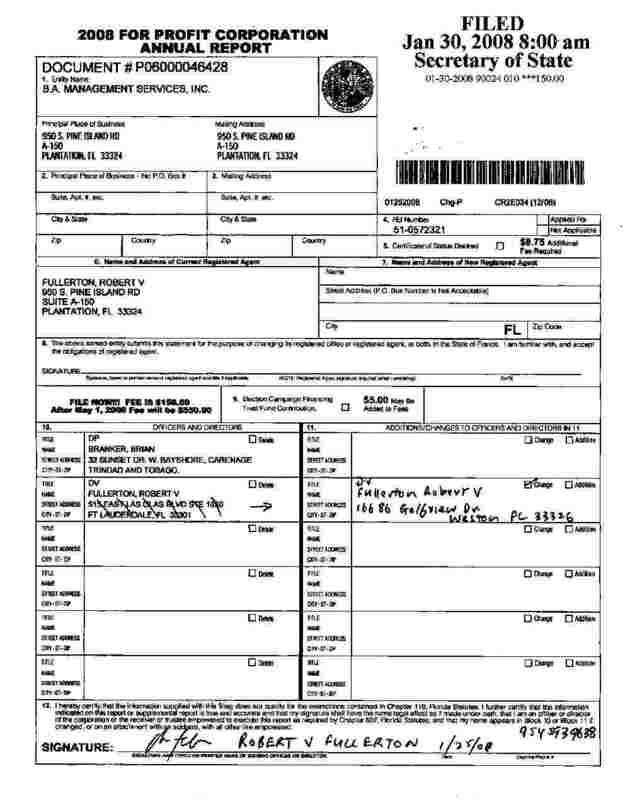 Management Services, Inc.” that is associated with the fraudulent Florida land deal described in this article. We can find no recent news stories online that would explain the sudden interest in Mr. Ramnarine, but several hundred people apparently experienced the urge to Google his name in the last 24 hours. Can any of our readers tell us why Mr. Ramnarine is generating such interest? 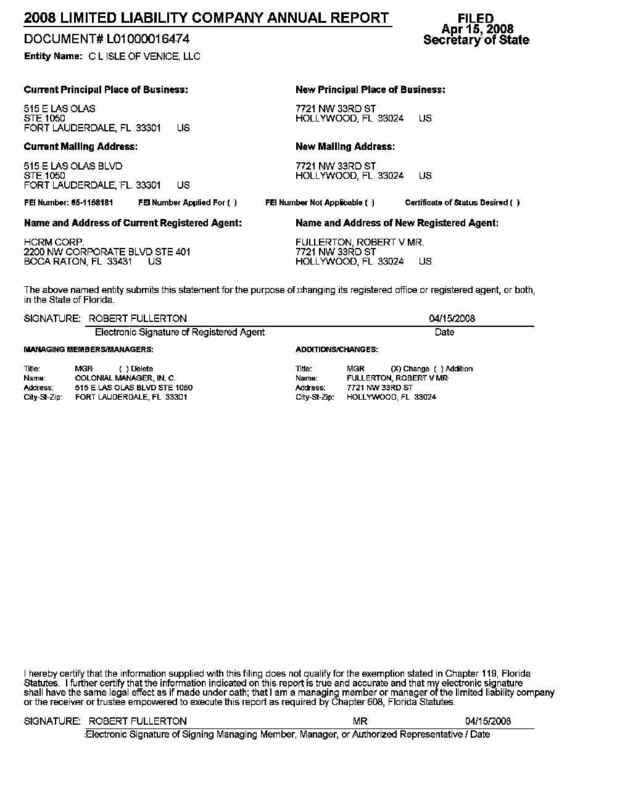 Barbados Free Press Turns Up TWO NEW Companies – One Registered Feb 2009 – Possibly Involved & Not Yet Known To Fraud Investigators! 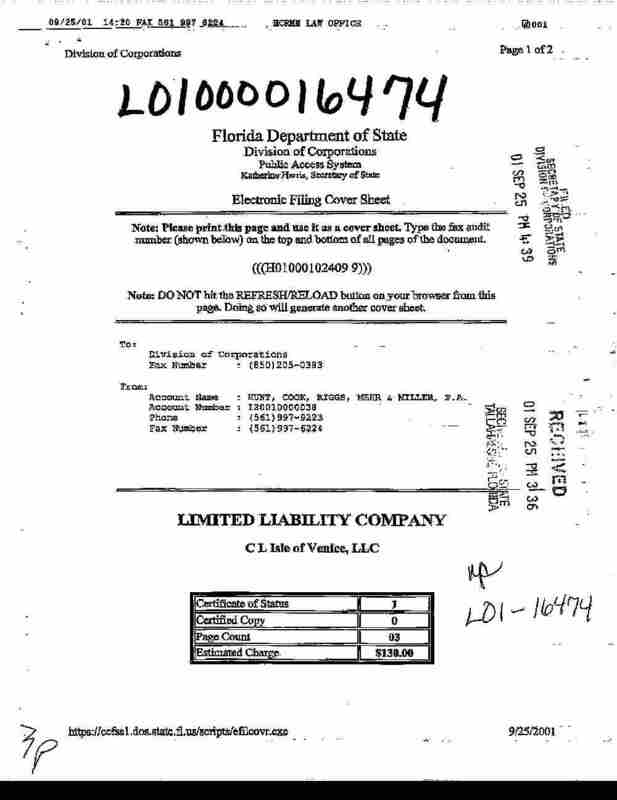 Court documents sent to Barbados Free Press reveal that a CL Financial Group company involved in a US$300 million dollar Florida land deal – paid more than market value for the land. This happened because the seller of the land provided “incentives” (read “secret commissions”, “bribes” or “gifts”) to company insiders in return for having CL Financial Group purchase the land for more than it was worth. 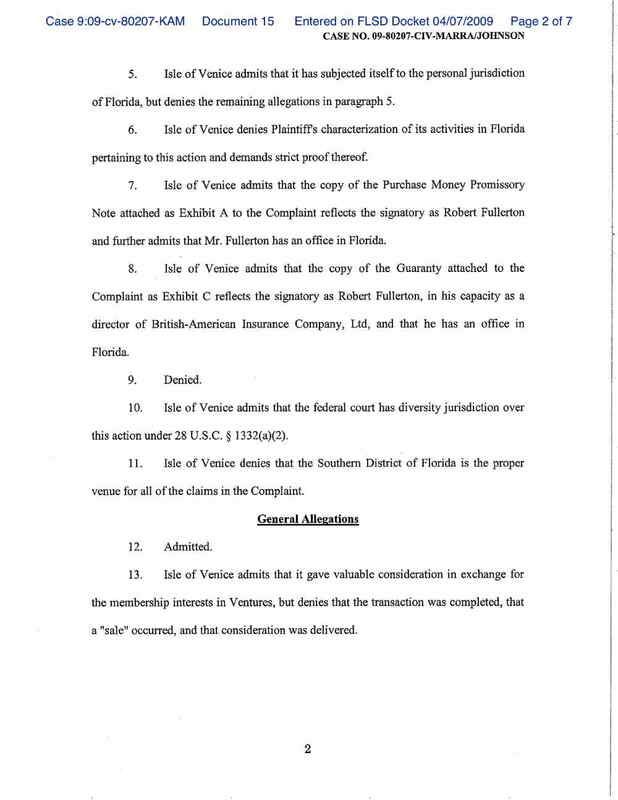 The court documents do not say how much extra CL Financial Group company paid for the Florida land over the true value, but even a 1% overpayment would be US$3 million dollars. Or… perhaps the overpayment was not one percent, but ten or twenty percent or more? In that case, the overpayment could be in the tens of millions US$. What is absolutely astounding is that the allegation that company insiders took “incentives” is being made by a CL Financial Group corporate partner. Brian Branker is Chairman of British American Insurance Company Limited as well as a director of British American Isle of Venice (BVI) Ltd.. 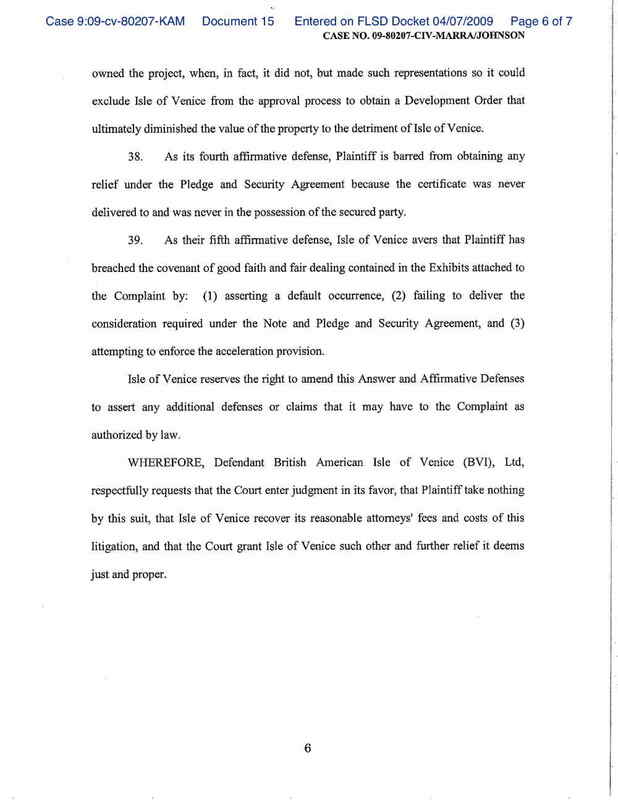 The allegation of “incentives” appears in a document filed by the lawyers for British American Isle of Venice (BVI) Ltd..
“Incentives paid to insiders…” is plural. Multiple incentives were given to multiple insiders to induce the suckered buyers (that would be CL Financial & friends) to pay way more for the land than it was worth. A land deal worth a third of a billion US$ dollars and CL Financial never thought to maybe get a second or third independent opinion on the value of the land? Oh well… thanks to the Governments of Barbados, Trinidad & Tobago and perhaps a few others those Captains of the financial industry at CL Financial are now playing with your tax dollar bailouts. Just makes you feel secure, doesn’t it? We can’t even pretend to explain how every piece fits into the story, but we have a feeling that some of our readers might be able to come up with a few theories! 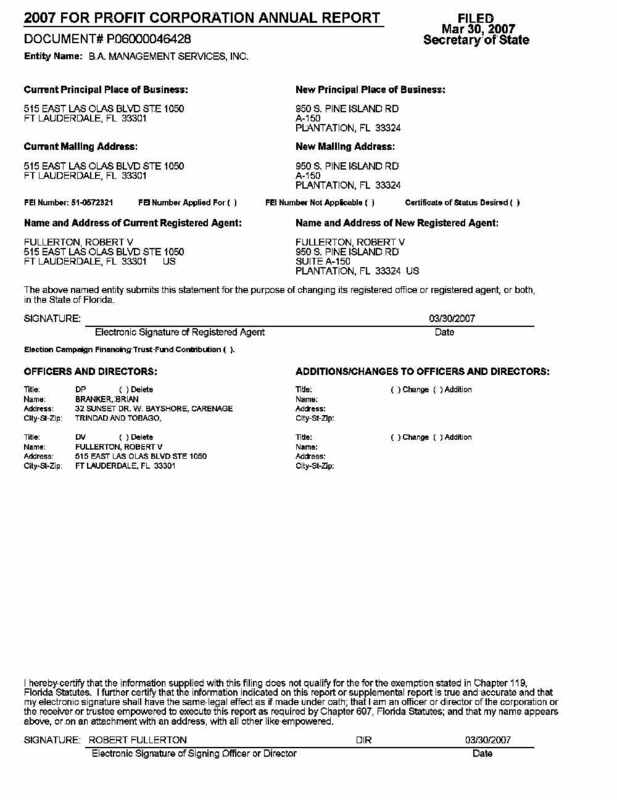 Not to mention that our enquiries have turned up a newly-registered Florida company that (so far) has not appeared in any other news story. 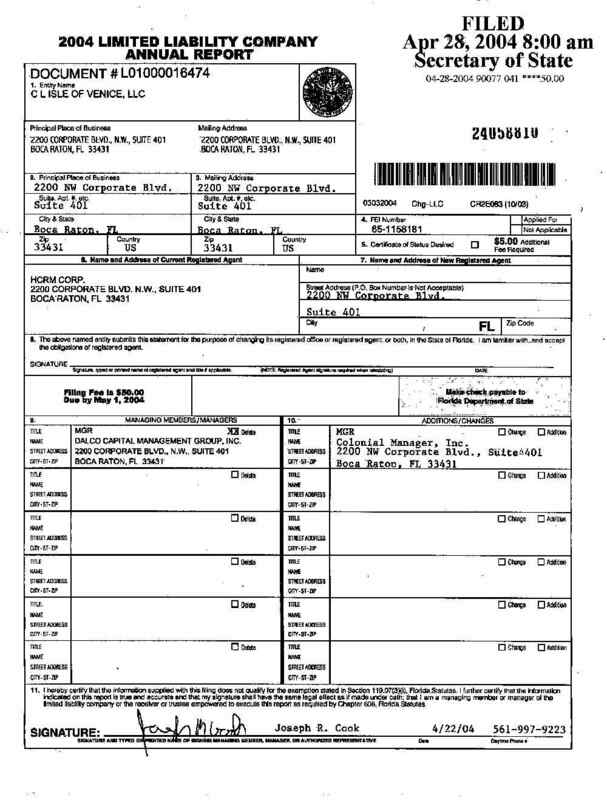 According to a Wall Street Journal web resource featuring the Steve Marchant’s Offshore Alert Newsletter DOWNLOAD PDF, the British American Insurance Company Limited is a Bahamas-domiciled company that is part of the CL Financial Group. 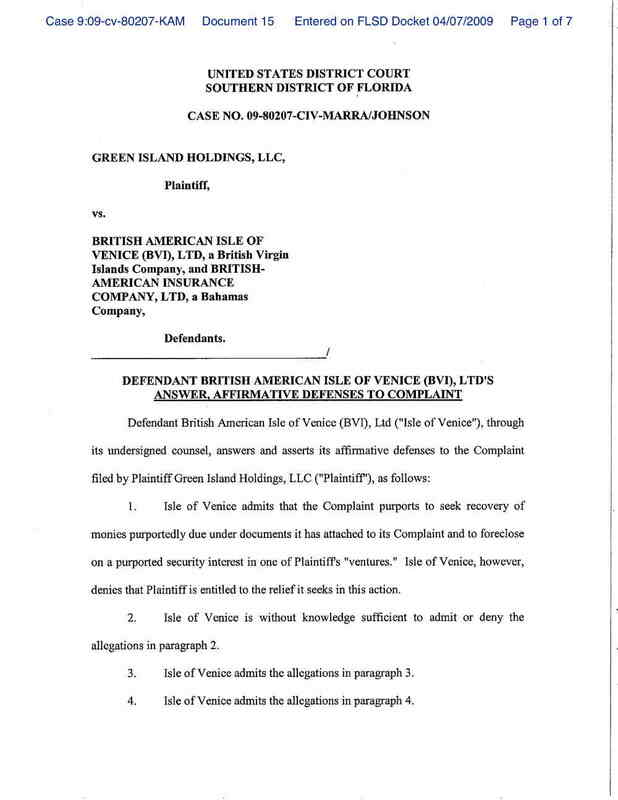 c/o BA Management Services, Inc.
British American Isle of Venice (BVI) Ltd.
Again, according to Offshore Alert, the Directors of British American Isle of Venice (BVI) Ltd. are Brian BRANKER and Robert FULLERTON. Barbados Free Press did some nosing around on the internet and discovered B. A. 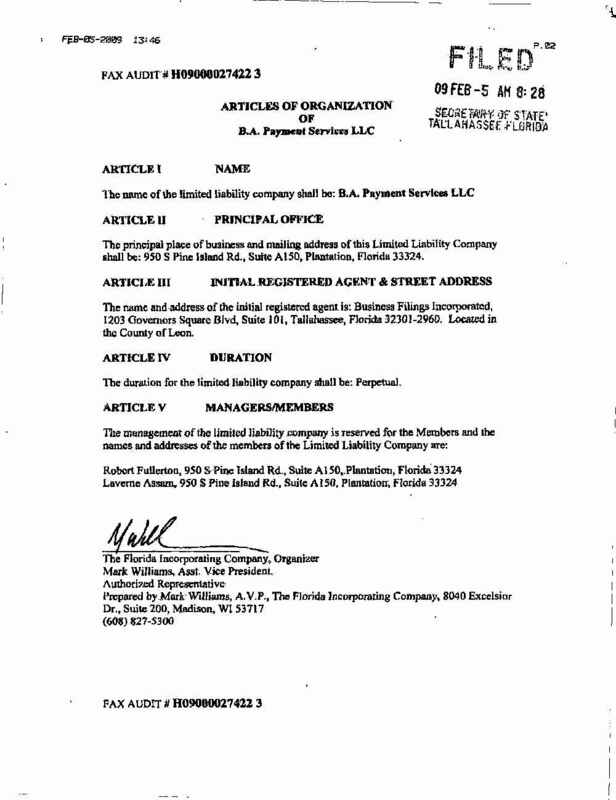 Payment Services LLC, a Florida company just created on February 5, 2009 after all the trouble started with CLICO, CL Financial BUT BEFORE THE LAWSUIT LAUNCHED BY Green Island Holdings, LLC..
How does B. A. 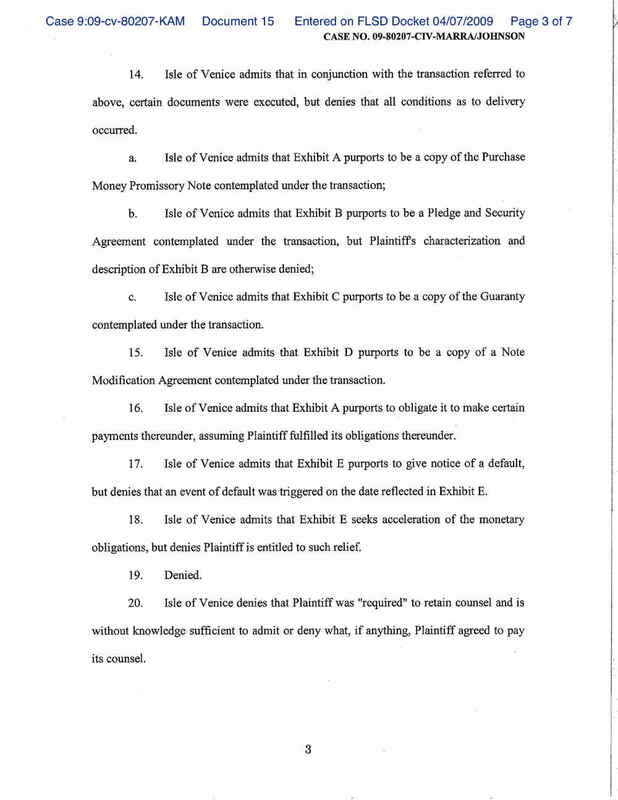 Payment Services LLC fit in to the mess? 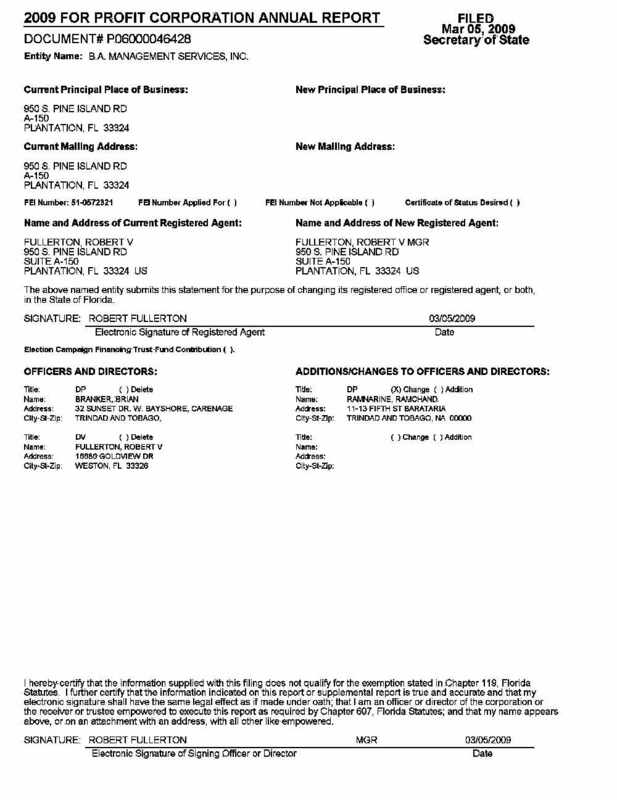 We don’t know, but it shares a common address and director (Robert FULLERTON) with some of the other companies. Was B. A. 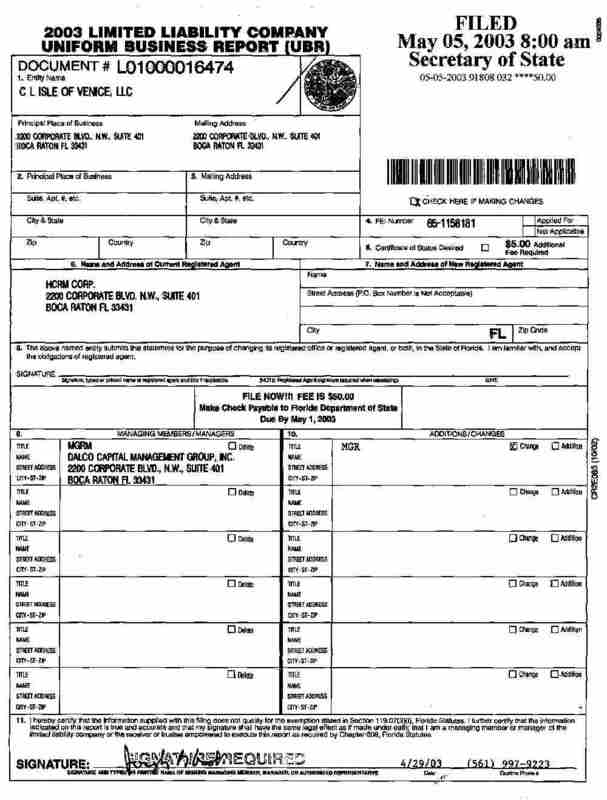 Payment Services LLC created for some purpose relating to the fact that a lawsuit was about to be launched by Green Island Holdings, LLC ? Was B. A. 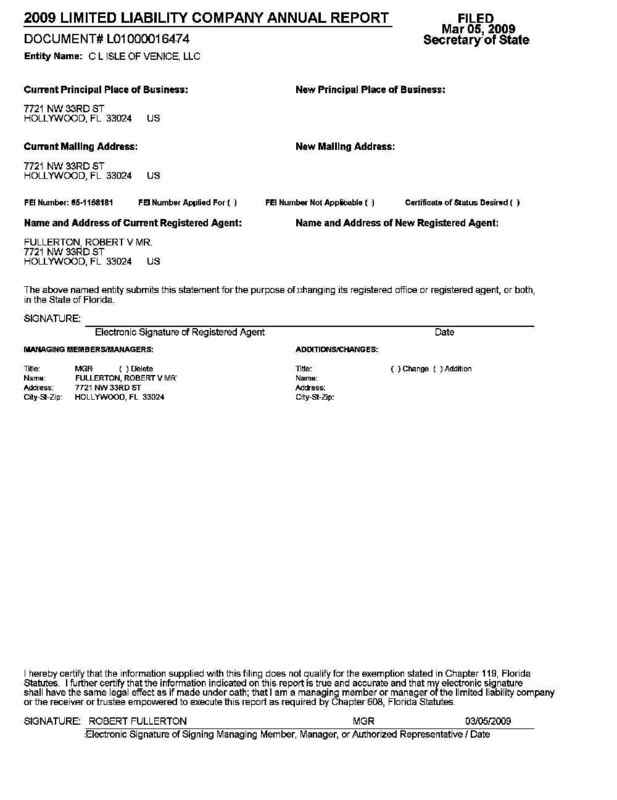 Payment Services LLC created for some purpose relating to the Trinidad & Tobago Government investigations into CLICO and CL Financial ? If B. A. 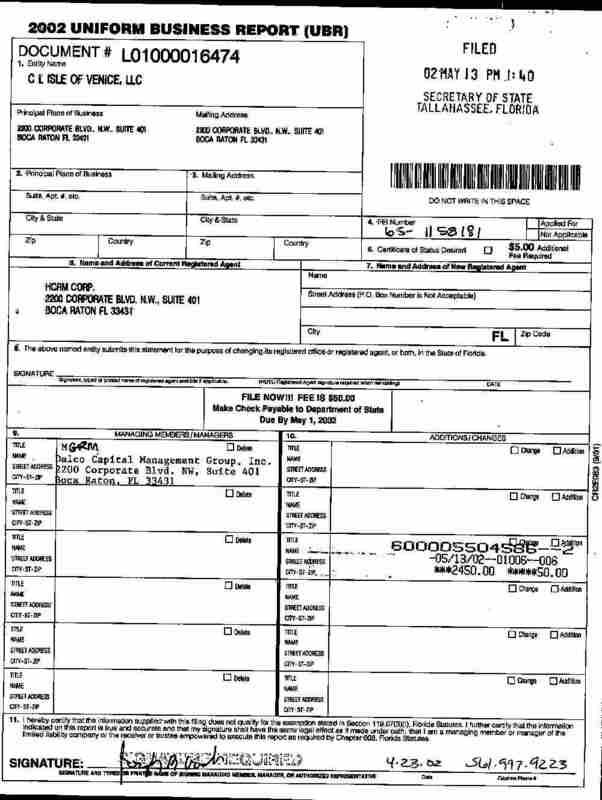 Payment Services LLC was a new company created to pull some hanky panky – well, I guess this article might be of concern to the people involved. If its purpose is legitimate, then I guess they won’t worry about this article. Once must admit though, that the timing of the company’s creation is most curious! This Florida company would have skipped our notice except that the name is similar to one of the defendant companies in the lawsuit. As well, the Director is Mr. Robert V FULLERTON, (with the “V” just as in the records for B. A. Management Services, Inc.). Corner Eastern Main Road & Trinity Avenue, Laventille, Trinidad & Tobago. 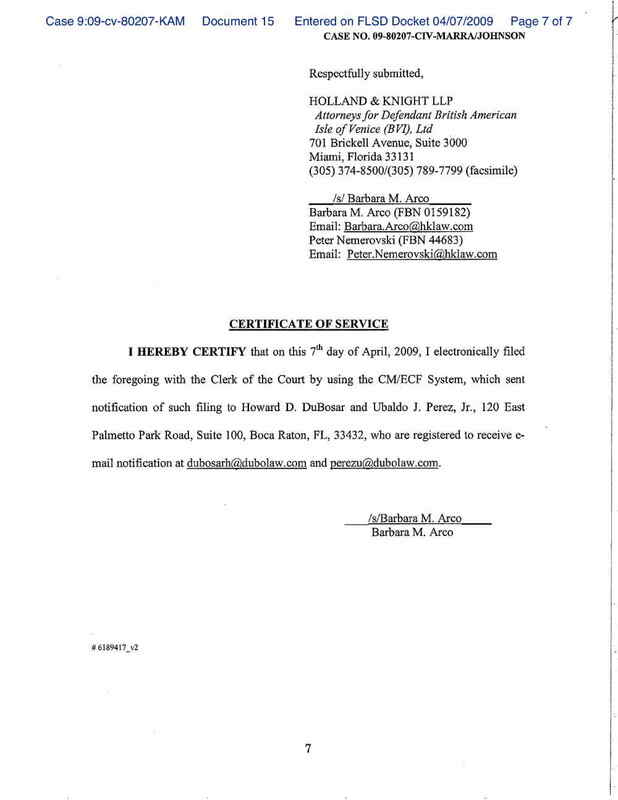 In 2004, the management of C L Isle of Venice, LLC was changed from Dalco Capital Management Group, Inc. to Colonial Manager, Inc. 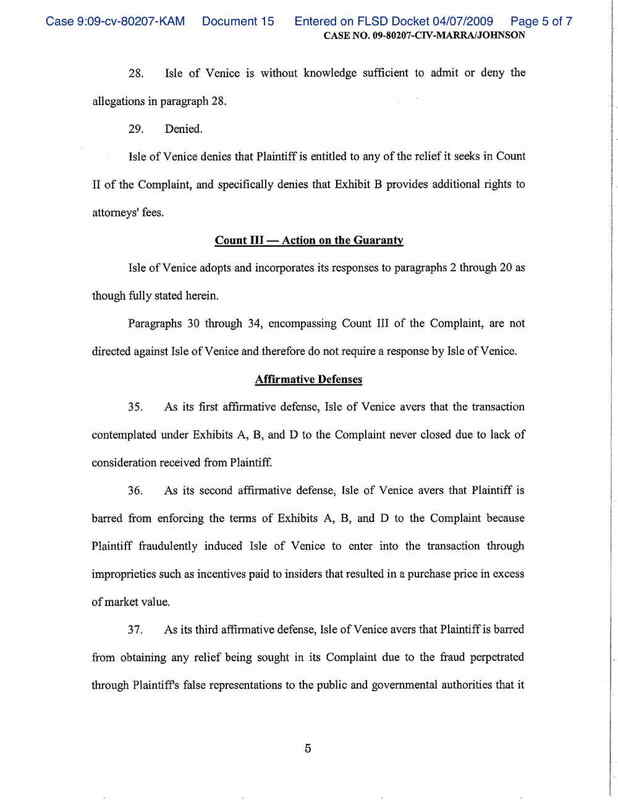 Thank God for a Florida court system where transparency and disclosure, to a certain extent exists. After several years of talking about offshore untendered agreements in the hundreds of millions of Dollars by the Barbados government, do you really think that a full independent audit of Veco, Dodds, 3S and others will not show the same system of bribes, commissions, and fee lifting? What about Hardwood, VECO, the old man whose house was blown down in a hurricane and we paid for a new house but none was built? David Thompson let it slide. “Nobody” is responsible. Never is anybody responsible for anything around here. BFP, so far in this article it seems to be recounting the classic tale of the crook himself being scammed by another crook. 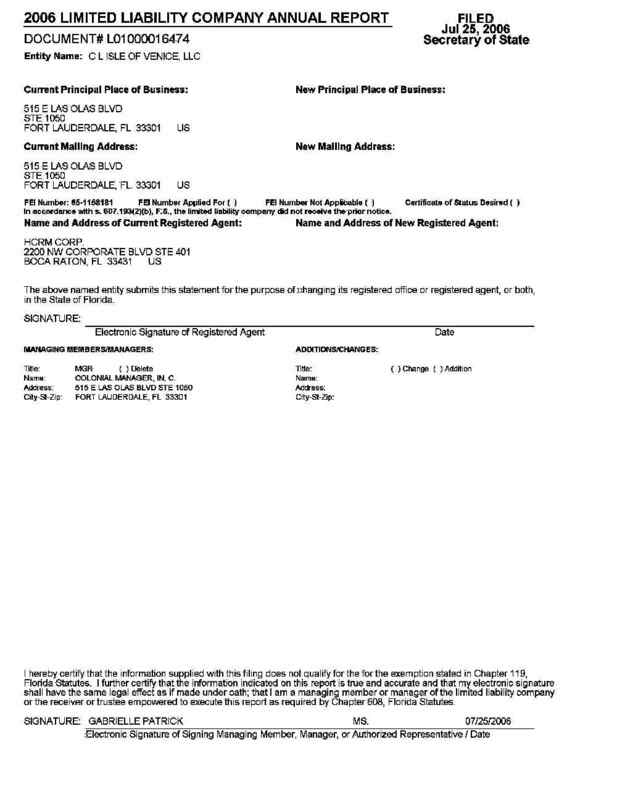 If that is so, what does it say about the business acumen of the CLICO principals who were apparently siphoning funds from the various caribbean operations to make the real estate purchases in Florida. Could you address that issue when you provide the sequel of the article later? Also, could you address the differences between the treatment of CLICO in Barbados as compared with Trinidad, the Bahamas, Cayman Islands and Guyana and suggest possible reasons for this. Do Bajans really understand what is happening to their investment and to the security they thought they had? I think they do not, yet. This is not only about CLICO (C.L. Financial). As a Tampa Bay developer I must say 6,000 acres at the listed purchase price puts the per acre cost at over $40,000. Sold at a time when the market was coming off its top and the fact that the according to Osceola County records the property is now zoned for homes and millions of commercial square feet, it would make this a huge money-maker if built out. Not sure if this one stinks as some of the other things I’ve read about these guys lately. Pingback: » Barbados: Will CLICO Buyers Have Access to Complete and Accurate Financial Statements? Keltruth Corp.: News Blog of Keltruth Corp. - Miami, Florida, USA. no prudent land company or worse insurance company would simply buy land of this immense amount without pre selling enough to get its money back or sharing the risk. Not only does it stink, its reckless! No one would assume that a property this large could be built out in less than 30-40 years. Its easy to do, however, if it is OPM “other peoples money” and you don’t have to suffer and slave to earn it over a lifetime. Where is Duprey and Parris these days?